Sight: Nocturnal animals have three main adaptations regarding sight. The first is large eyes. Large eyes with a wider pupil can collect more ambient light. The second are plentiful rod cells. There are two main types of vision cells, rods which sense light and cones which sense color. 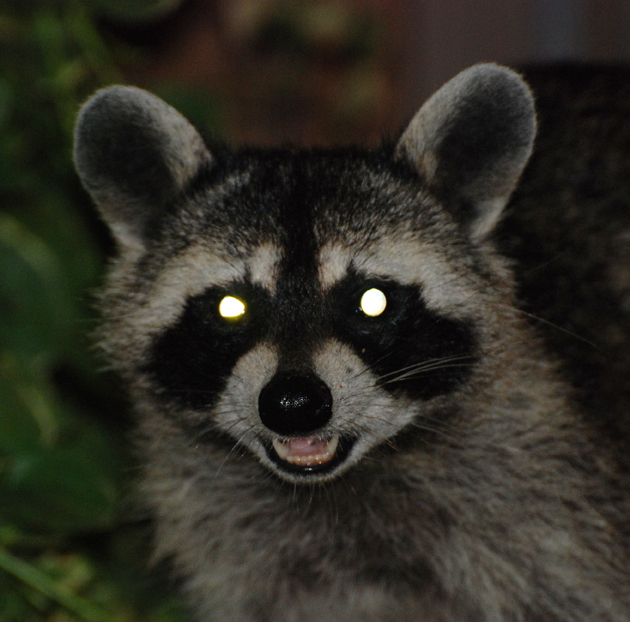 A nocturnal animal’s retinas are composed almost entirely of rods. This allows the animal to see much better in the dark at the expense of seeing color. The third is tapetum lucidum (means bright carpet). This is a layer of cells beneath the retina that acts like a mirror reflecting light back into the rod cells. It is because of this that a nocturnal animal’s eyes seem to glow in the dark. 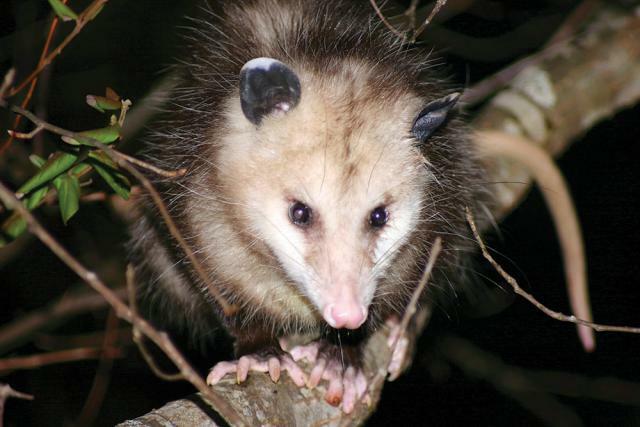 Hearing: Nocturnal animals have two adaptations regarding their hearing. The first are cupped ears which allow the animal to take in more sound. The second is asymmetrical hearing which allows the animal to hear separately with each ear to tell where things are. We can simulate these effects by cupping our ears. You can try it by cupping one ear forward and one ear backward to simulate this effect. 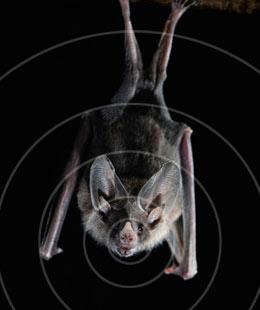 Echolocation: Some nocturnal animals, such as bats, have echolocation. How echolocation works is the animal produces a high pitched sound wave which reflects off of all objects and returns to the animal. The animal can tell how big the object is and how far away it is by the intensity and pitch of the echo. Large things give off a high intensity and small things give off a low intensity. Objects that are close have a higher pitch whereas objects that are far away will have a lower pitch. Now would be a good time to play bat and moth. Have one student be the bat another be the moth and have the remaining students form a circle around them. When the bat claps once the moth must clap twice. The goal is for the bat to catch the moth and the moth to stay away from the bat as long as possible. Smell: Many nocturnal animals such as foxes and raccoons have an acute sense of smell. 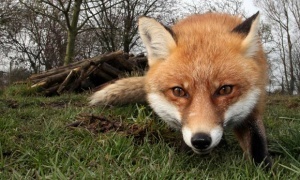 A fox or raccoon’s sense of smell is comparable to our own sense of sight. This allows the animal to find food many miles away. Sea turtle nest are often disturbed by these animals, they will dig down into the sand and consume and entire nest of eggs. 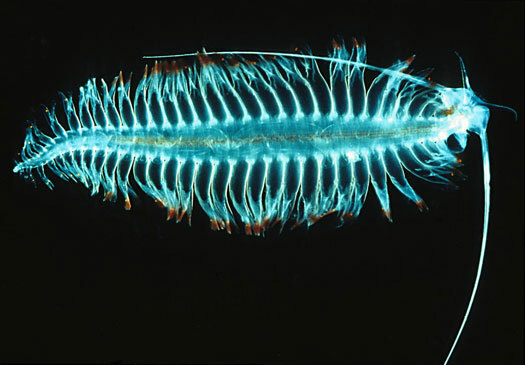 Bioluminescence: Bioluminescence is the ability of an organism to produce its own light. This can be used for communication, locating food/attracting prey, and self-defense. You can find an example of bioluminescence down by the water. Have the kids scratch the wet sand and they will see flashes of light. These are phytoplankton they are signaling to each other warning that danger is near.